Rev. Moon, A 'Savior' To Some, Lived A Big Dream The controversial founder of the Unification Church said Jesus spoke to him when he was 16. Sun Myung Moon said Jesus wanted him to fulfill his mission of creating the "true family." Moon considered himself the Messiah and was known for conducting mass weddings and attracting thousands of young followers. He was 92. Rev. 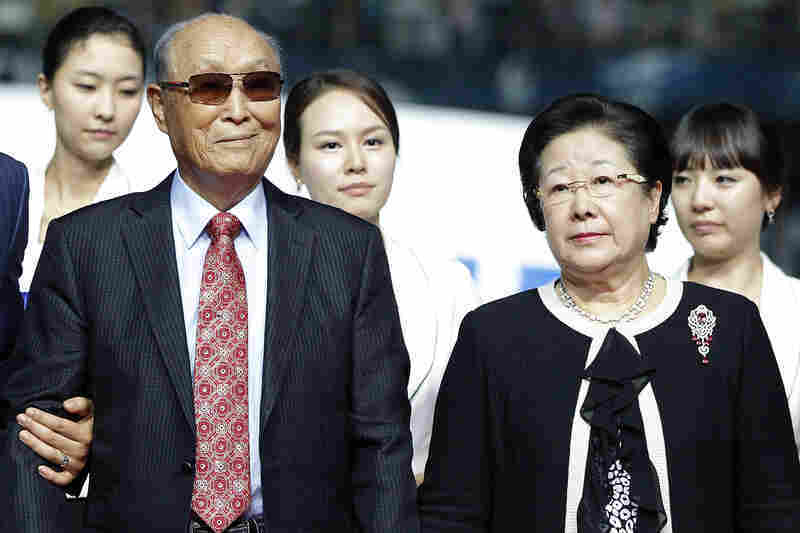 Sun Myung Moon, founder of the Unification Church, and his wife, Han Hak Ja, attend the ceremony after the Peace Cup final match between Hamburger SV and Seongnam Ilhwa Chunma at Suwon World Cup Stadium on July 22 in Suwon, South Korea. 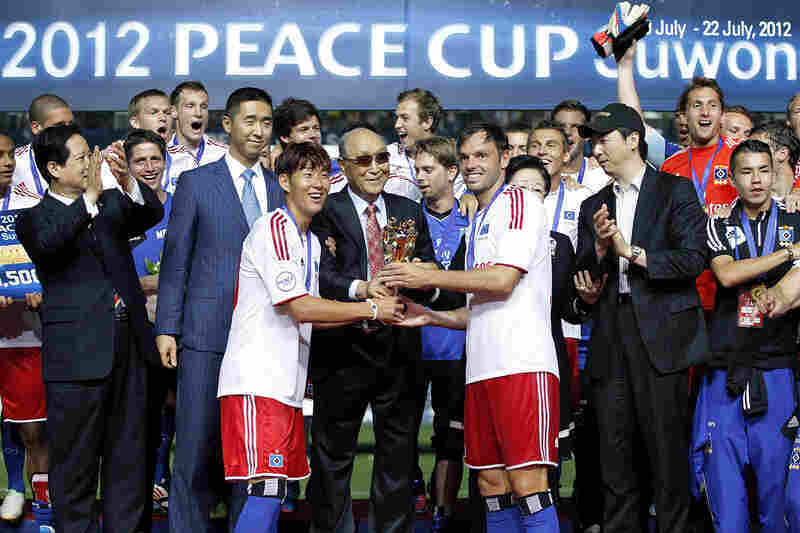 Captain Heiko Westermann (third right) and Son Heung-Min (third left) of Hamburger hold the trophy with Moon, as they celebrate after winning the Peace Cup final match. 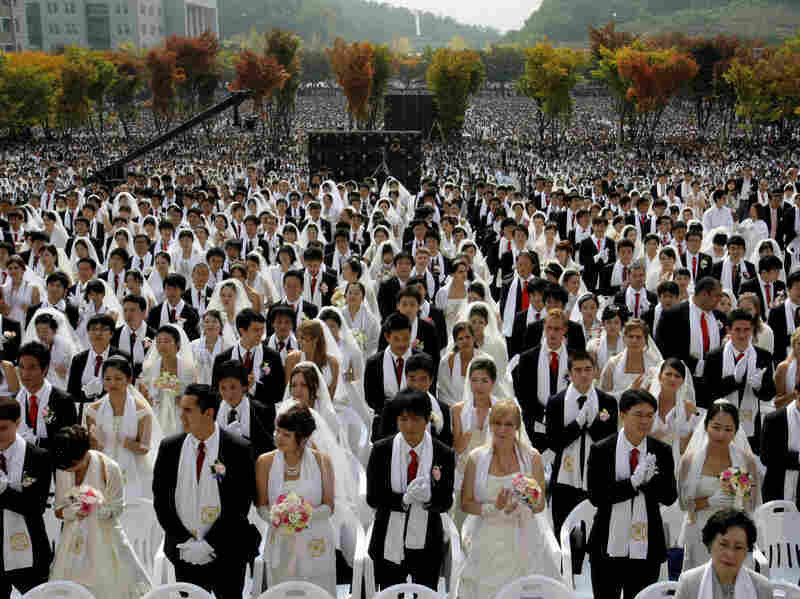 Moon spreads holy waters during a mass wedding ceremony arranged by his Unification Church at Sun Moon University in Asan, south of Seoul, South Korea, in October 2009. Couples from around the world participated in the mass wedding ceremony. Bridegroom Uriah Buscovich from California and his bride, Moona Field from Argentina, exchange their wedding rings during the mass wedding ceremony. Moon and his wife are introduced during the Affirmation of Vows part of the Interreligious and International Couple's Blessing and Rededication Ceremony, 2002, at New York's Manhattan Center. Some 500 to 600 couples participated in the New York ceremony, and an estimated 21 million couples participated worldwide via a simulcast to 185 countries. 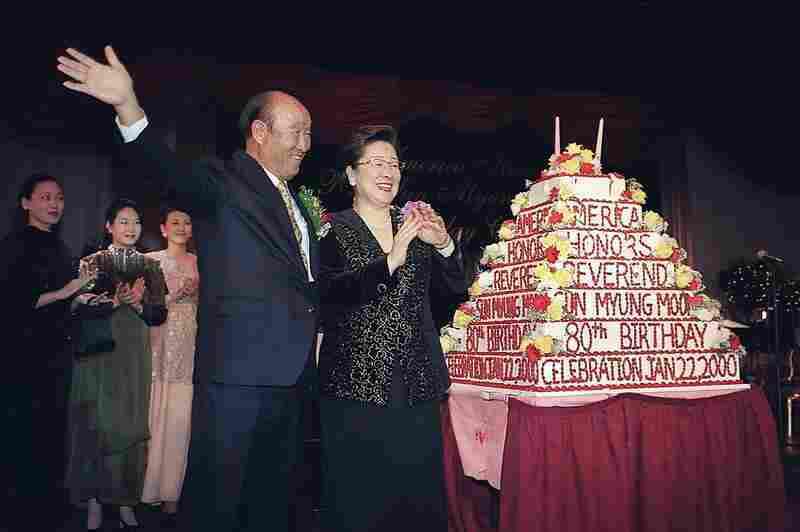 Moon celebrates his 80th birthday in 2000 in Washington, D.C. Religious leaders, diplomats and friends from 150 nations marked the occasion. Moon leaves the Federal Correctional Institution in Danbury, Conn., July 4, 1985. Moon was imprisoned in 1984 after being convicted of tax-evasion charges. He left Danbury to serve the remainder of his sentence at a halfway house in Brooklyn, N.Y. 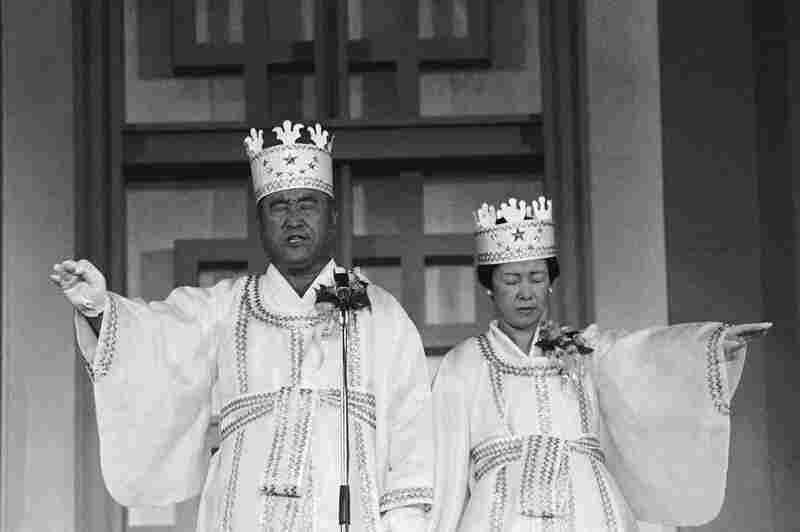 Moon and his wife participate in the traditional invocation of a blessing at a mass wedding in Seoul's Chamsil gymnasium, where 6,000 couples from about 80 countries were married in 1982. 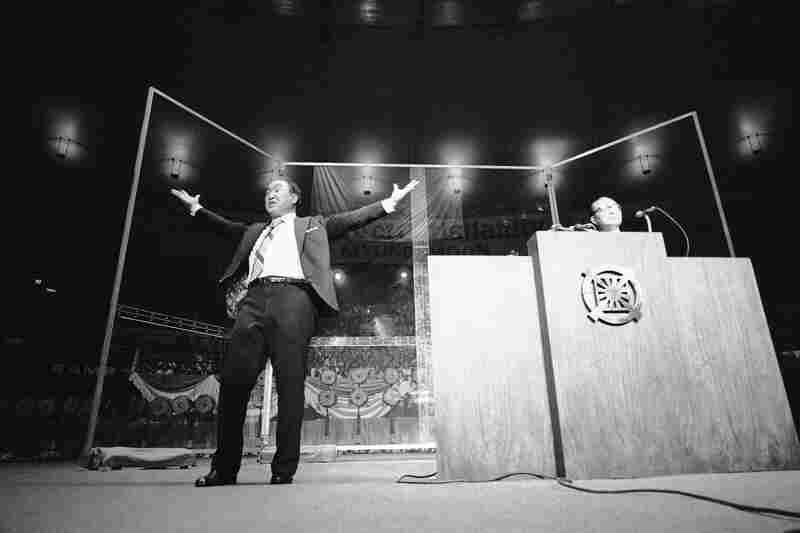 Moon appears before a capacity crowd of 2,000 in 1974 in New York's Madison Square Garden, where he preached for the rebirth of Christianity. His appearance was part of a 40-city U.S. tour that year. Moon's daughter, In Jin Moon, says during that conversation, Jesus made a startling revelation. "What Jesus told my father back then is, 'I did not come to die. I came to find my perfect bride, and we would create this thing called the true family, and we would encourage all of humanity to graft onto that true family through this thing called holy blessing,' " In Jin Moon says. In Jin Moon says, since Jesus' plan was thwarted by the Crucifixion, he told the 16-year-old to complete his mission. Moon began that in earnest in 1954, when he started his church. James Beverley, a professor at Tyndale Seminary in Toronto and an expert on Moon, says Moon believed he was the Messiah, that he was sinless and that he was the true father of mankind. "He believed he was the true representative of God on Earth, and that he has liberated the universe," Beverley says. "He taught in one of his sermons that the 'Hallelujah' chorus is really about him, and people will eventually in heaven sing praises to Rev. Moon." Moon's church spread from South Korea to other parts of Asia, and then to the U.S. By the early 1970s, he boasted churches in all 50 states. The growth was fueled by thousands of young people who dropped out of college to follow this new messiah. Phillip Schanker was one of them. He says he came from a tumultuous home and found in Moon a charismatic father figure who brought him spiritual peace. "He's my parent, and he also changed my destiny. So in that sense, he's my savior. He changed the direction of my life," Schanker says. 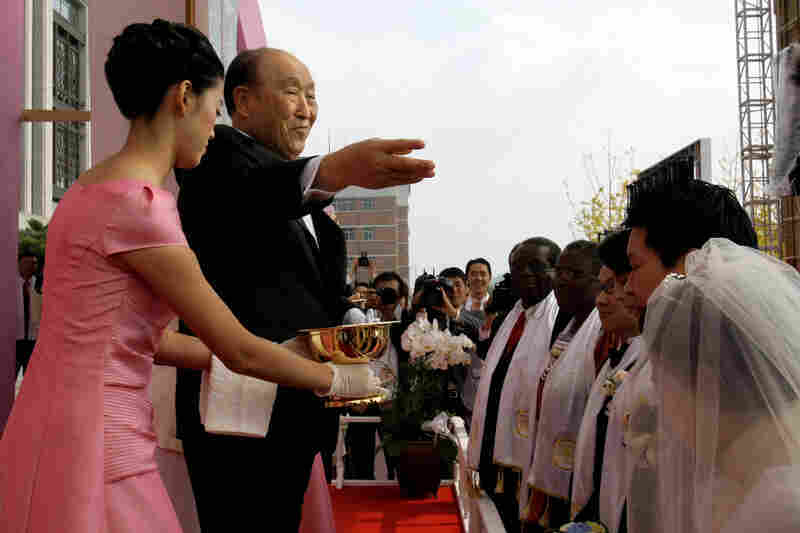 Schanker, who's an official in the Unification Church, says he and others left everything to bring about the Kingdom of Heaven on Earth, evangelizing, selling flowers, working 16 or 18 hours a day to raise money for the church. "We innocently and faithfully left our homes," he says. "There was an urgency at that time. People didn't complete their school, and it caused our parents and families to really question." Indeed, some parents believed the Unification Church had brainwashed their children, and they hired deprogrammers to bring them home. Many called the church a cult. 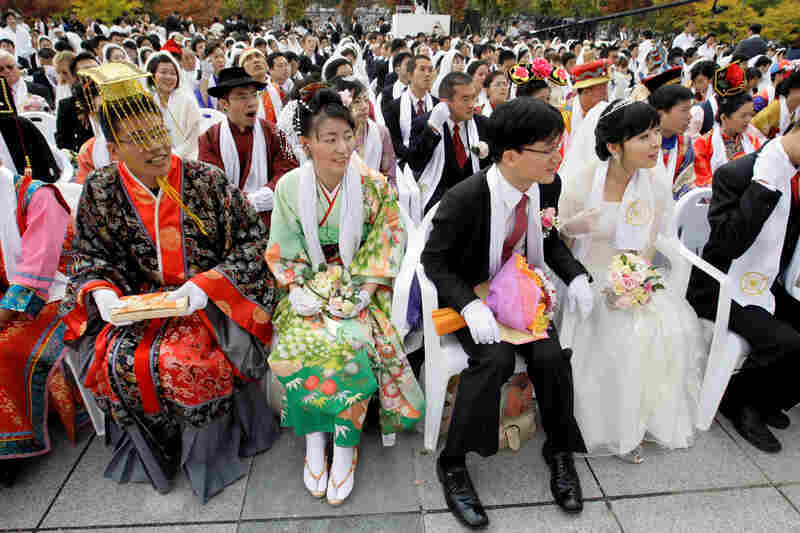 Couples from around the world participate in a mass wedding ceremony arranged by the Rev. Sun Myung Moon's Unification Church in South Korea in 2009. But it continued to grow. Moon began focusing on his central mission: creating families. He presided over mass wedding ceremonies, joining tens of thousands of couples at a time. Moon would often match people who had never met before the ceremony. Moon was determined to spread his influence beyond religion. He became active in conservative politics. He took out full-page ads defending President Nixon during Watergate. He bought a gun manufacturer. He started universities and founded The Washington Times in 1982. "I think he had a sense that if you own a newspaper, it makes you look good, and also you can influence public opinion," Beverley, the professor, says. But that was not enough to spare him from IRS scrutiny. 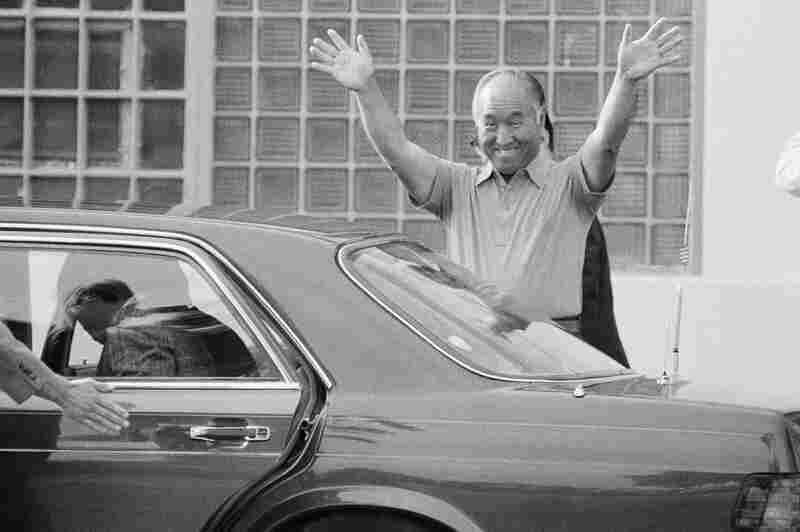 In 1982, Moon was convicted of tax evasion; he spent 13 months in federal prison. "He claimed he was innocent, and he regarded his time in prison as an equivalent to the death of Jesus," Beverley says. Beverley says after his release, which Moon compared to the Resurrection, Moon publicly declared himself the Messiah. In the past decade, Moon had begun transferring his empire to his children. 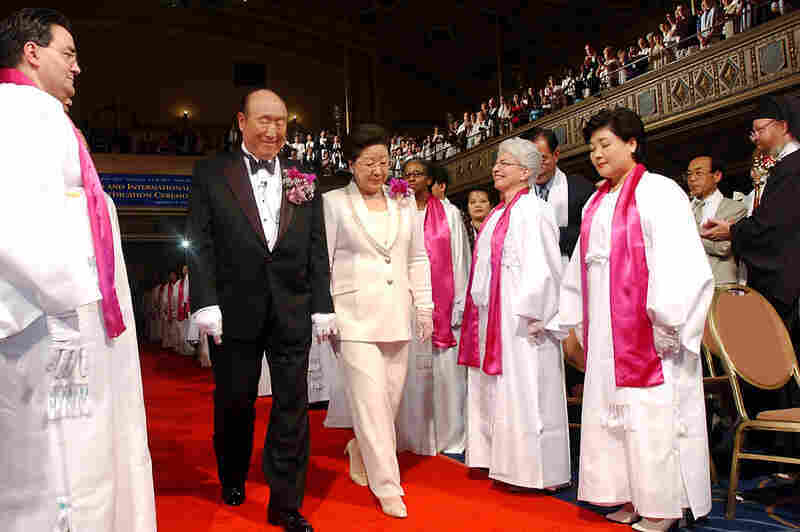 His younger son heads the international church, and In Jin runs the church in the U.S. Officials like Schanker believe the Unification Church will survive Moon's death because of the power and originality of Moon's message. "Rev. Moon is in a category of a religious innovator, a religious pioneer, a new religious founder. Now, put in that category, I have no problem looking at him next to Buddha, to Confucius, to Jesus," he says. Others may bristle at that comparison. But one thing is clear: The poor boy from North Korea lived out a very big dream.